After that, US Secretary of State John Kerry praised the Nobel laureate that her country’s evolution towards democracy after decades under the military was a “remarkable statement to people all over the world”. Two weeks after the conference, NLD government has been openly publicizing that there is no Rohingya, only illegal immigrants, Bengali from Bangladesh, and Government has started their verification in the ground. Military junta confiscated NRC cards of Rohingya in 1990s and replaced it with White Cards which could be defined temporary scrutiny cards. 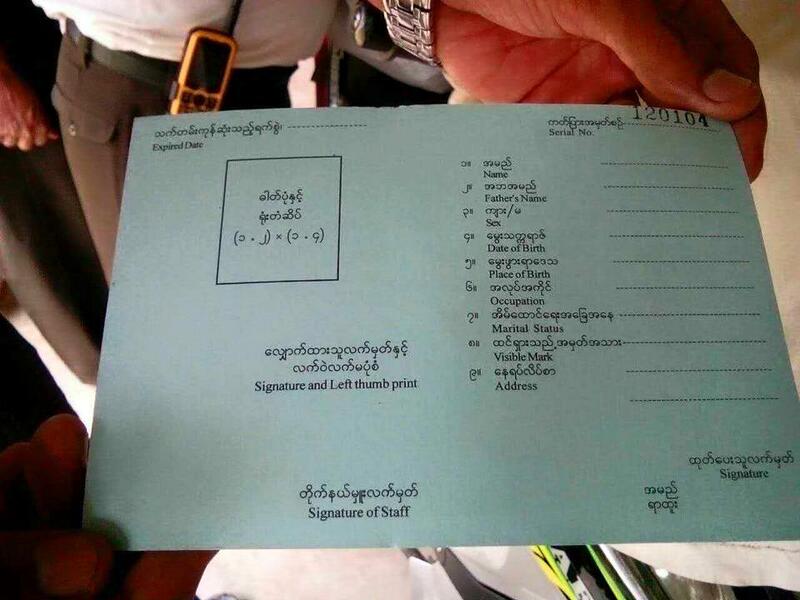 When international community put pressure on Thein Sein Government, white card program was withdrawn and all Rohingya returned their white cards to the authority. 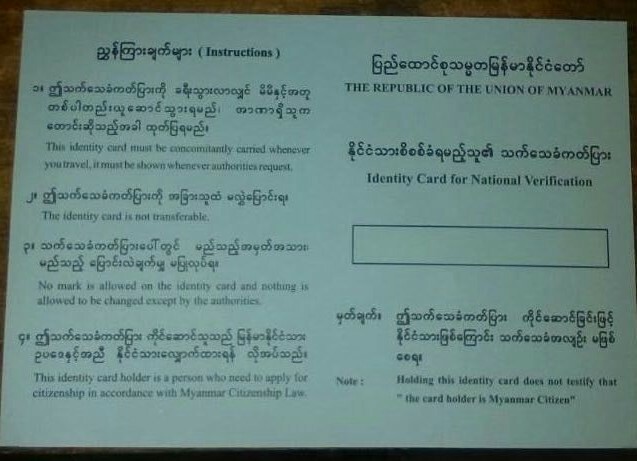 Now, NLD government has been trying to deceive the World as well as Rohingya with NVC Cards, Identity Cards for National Verification in which it openly mentions that holding this card does not testify that card holder is Myanmar citizen. Thein Sein Government failed to implement Bengalization program against Rohingya. NLD government bribed camp committee of MyeBon ; Aung Lwin, Shwe Ba, Maung Tin Aung, Md Kasim, Abdu Gaffar and Jalal who have been threatening and forcing Rohingya to accept NVC cards, more than 1000 Rohingya in MyeBon were forced to accept NVC cards by the Committee. Concept of NVC is 100 times worse than white cards for white card holder can be a citizen in future but new NVC cards mentions that holder of it cannot claim citizen of Myanmar. Rohingya need no verification according to citizenship law of Myanmar because they have been living in Arakan since 14th century. 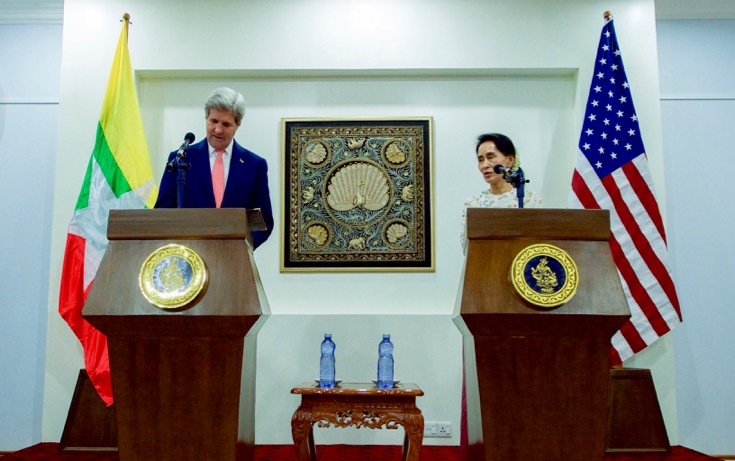 Denial of Rohingya for any excuse is genocidal program against Rohingya.